McSorley almost pulled off a Citrus Bowl comeback after the school announced he had a broken foot. 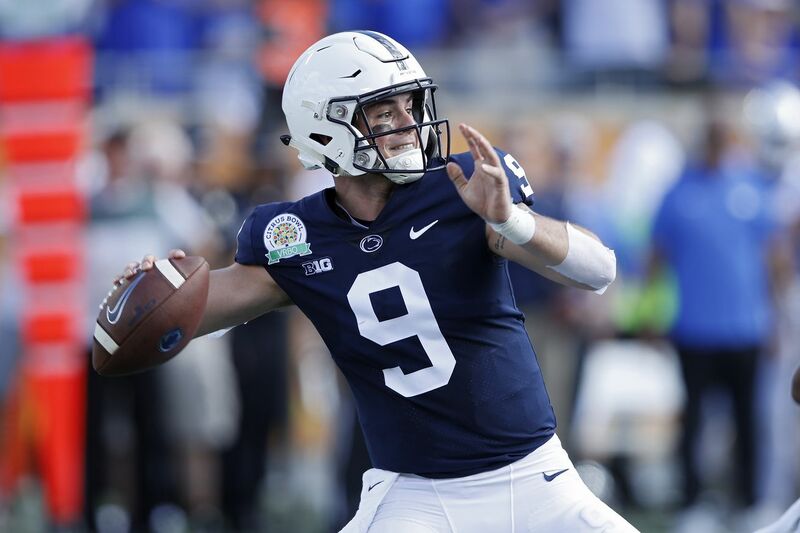 On Jan. 1, 2019, Penn State quarterback apparently Trace McSorley played on an injured foot in the Citrus Bowl against the Kentucky Wildcats. When the second half began, backup Sean Clifford started over McSorley, who was seen on the sidelines limping and trying to jog his right foot. From #PennState: McSorley has broken foot and is done for the day. “Remember he was playing in the Citrus Bowl,” Rapoport said. It was announced that he had a broken foot. By the way, he did not have a broken foot. He went into the locker room, he continued — he kinda dealt with his foot a little bit. He continued running and testing it, actually found out he was able to come out for the second half, didn’t miss a beat, he played and nearly led Penn State to a comeback. McSorley did miss a beat when he first came back in, but overall put together an impressive performance. Literally right after it was announced that his foot was broken, McSorley was on the sidelines talking with head coach James Franklin. He then reentered at QB. His third play of the second half was an interception caught by Kentucky’s Lonnie Johnson Jr., who returned it 24 yds to the UK 34. After the pick, McSorley visibly limped to the sidelines, but still appeared to have use of both his feet. At that point, Penn State trailed by 13. The Nittany Lions then went down by 20. But then, McSorley led a strong comeback effort. With some passes and some explosive runs, he led Penn State on two touchdown drives early in the fourth quarter — one 10 plays, one six. PSU trailed 27-21. After a defensive stop, with PSU down 6 and just more than four minutes left, McSorley had gotten the Lions down to UK’s 14 with a chance to win. But on fourth-and-7, James Franklin opted for a short field goal. Jake Pinegar hit it, but a couple of Kentucky first downs behind Benny Snell prevented PSU from getting the ball back. It would’ve been more fun to watch McSorley try to score on that fourth down. It’s still not entirely clear what happened with the foot thing. “Trace was experiencing some discomfort,” Franklin said after the game. The coach said the decision to play came down to what McSorley wanted, with doctors’ input. McSorley says that it’s unclear whether or not his foot is broken despite initial word from Penn State athletics that it was broken. Franklin says they will find out the severity of the injury soon. According to ESPN’s Laura Rutledge, Penn State informed her that he was cleared to play in the second half. He came out of the locker room and reportedly threw his helmet and was seen limping around the sidelines. In his second series, McSorley managed to score a one-yard rushing touchdown, so hey, his foot was at least OK enough for that. The Citrus Bowl was McSorley’s final game as a Nittany Lion before he entered the 2019 NFL Draft, so him trying to gut through an injury (that apparently wasn’t a “broken foot” after all) isn’t the most extreme thing a player’s ever done in order to stay in a game — and it was evidently all his choice, based on his sideline conversations. McSorley doesn’t have great size (6-foot, 200 pounds) or a great arm, but he was one of college football’s most productive quarterbacks the past three seasons. McShay wrote in early December that McSorley was his favorite late-round prospect to watch. He’ll be among the contingent of QBs at the Senior Bowl, where he’ll get his shot to impress against some of the draft’s best senior prospects. How his foot really is will be on full display Saturday afternoon, when the Senior Bowl kicks off from Mobile, Ala.